So am I still using the Nouveau drivers? If I pick any of the NVidia proprietry drivers from the list, rebooting will result in "System running in low graphics mode", "Could not detect display, graphics card etc." (How to fix "The system is running in low-graphics mode" error?). How can I use the NVidia proprietry drivers? 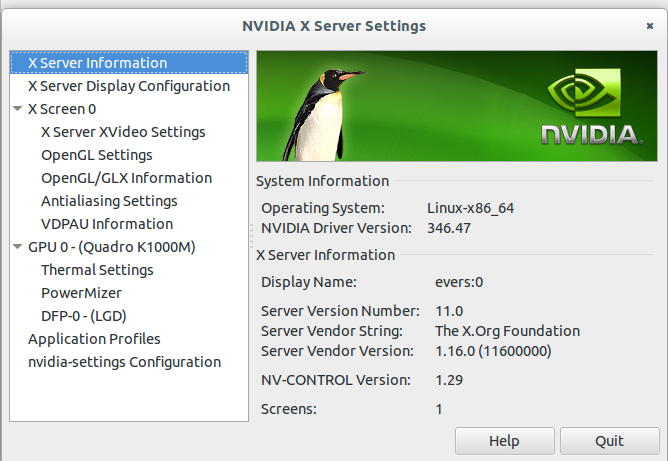 The correct answer is: The xorg-edgers repackage the binary proprietary NVidia driver as "X.Org X-Server Nouveau". So that's why you see what you see in the "additional drivers" screen. 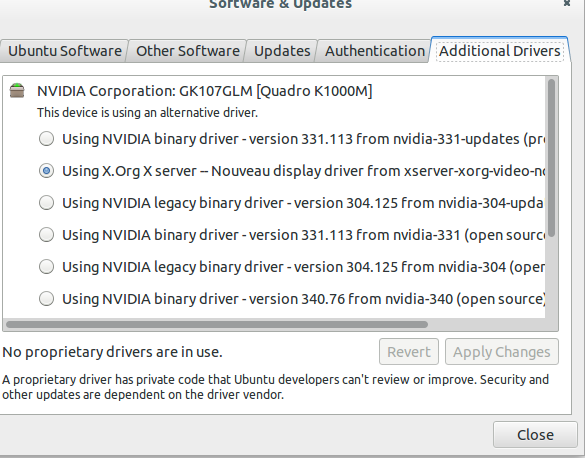 This means that the next time the xorg-edgers repackage the newer driver, it'll get updated automatically, contrarily to installing the NVidia binary driver. Finally. This works for me after 2 days searching. Not the answer you're looking for? Browse other questions tagged drivers nvidia or ask your own question. Will libdrm-nouveau2 library conflict with proprietary nvidia-346 driver? How do I install DKMS (and others) for my NVidia drivers on Vivid?